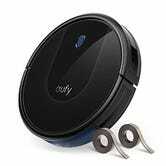 Anker’s Eufy RoboVac line has been a hit with our readers (and with us! ), to say the least, and some of the company’s latest models are down to the best prices we’ve seen in today’s Amazon Gold Box. The RoboVac 30 is the same size as the RoboVac 11s (which is to say, it’s very thin), but has stronger suction (1500Pa vs. 1300, and for comparison, the old RoboVac 10 only had 400), and includes guide strips that you can lay down anywhere in your home (like in front of cords on the ground) to warn the vacuum to steer clear. It launched last summer $270, but this one-day deal brings it down to just $180, the best price we’ve seen. Or, for $225, you can opt for the brand new RoboVac 35C, marked down from $300. Cleaning performance-wise, it looks like a dead ringer for the RoboVac 30, but adds Wi-Fi, Alexa support, touch-sensitive buttons, and even a Find My Robot feature that lets you trigger an audible alarm with your phone if it gets lost under some furniture, and you’re having trouble locating it. The days of $40 PlayStation Plus sales are mostly behind us, so if your membership is set to expire soon, you may want to pick up another year for $43, or over 25% below retail. Winter is all about layers on layers on layers — and Patagonia has vests, puffers, pullovers, and zip-ups galore, all of which are great for wearing alone on warmer days or all at once when it’s an arctic tundra outside. Right now, the winterwear purveyors are majorly marking down their Web Specials section for a limited time with up to 50% off their past season products. So it would behoove you to pile everything you can into your cart ASAP, so you can pile everything onto yourself during the remaining cold months ahead. Dyson makes a good, blade-less fan, and today, you can take home one of your own for much less than usual. 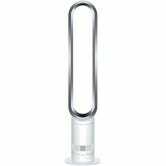 Amazon is offering up a refurbished Dyson Air Multiplier Tower Fan for $190 (a brand new one is currently going for $335), featuring a sleep timer, oscillation capability, and a remote control. It’s a price that won’t having you breaking out in a sweat, and a deal you’ll be grateful for come summer. I used to think vests were the most useless type of clothing — I mean, why not just wear a jacket? But now, I understand that it’s all about keeping your core extra warm underneath a jacket, and Uniqlo’s Ultra Light Down Vest, now on sale for $40 for both men and women (with a few colors on sale for even less), is the vest that helped me get to this state of enlightenment. The spiritual successor to the popular Anker SoundCore Sport, the new SoundCore Icon Mini is a tiny speaker that’s designed with the outdoors in mind, and you can save 15% at launch by clipping the on-page coupon. The Icon Mini boasts eight hours of battery life, which is awfully impressive in a speaker that weighs as much as your phone, and takes up about as much space as a deck of cards. It’s also IP67 dust and water resistant, so it can even get fully submerged (to a point) without taking any damage. But best of all, if you get two of them, you can pair them together for stereo sound that will fill your beach tent or campground. A few months ago, I wrote at length about how to abuse HP Instant Ink with a $20 printer. All of that applies to this $40 HP Envy 5055 all-in-one, except this one offers better printouts and looks nicer. It’s unlikely to match laser printers in terms of crisp, clean text but it’ll print out better photos. If you own a compatible HP printer… you can get free printouts thanks to HP’s Instant Ink service. Right now, this model is $20 cheaper than usual. So you want good jeans, but you don’t want to spend a lot on good jeans. I get it, and I have a solution. Shop at Levi’s for a selection of bestselling denim styles for men and women starting at just $50 for a limited time — and there are a lot of styles that are actually $50. There’s nothing more classic than a good ol’ pair of iconic Levi’s, and you can’t deny, that’s a solid price for quality jeans. Just be sure to pick up the pair you want soon; this denim discount won’t last forever. 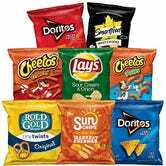 Save yourself a trip to the vending machine, and pay just under 33 cents per bag on this $12 Frito-Lay variety pack, after you clip the $4 coupon and use Subscribe & Save to maximize your savings. 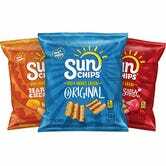 This pack doesn’t play it safe with any bland, original chips (with the exception of the pretzels); it’s full of bolder flavors like sour cream and onion Lay’s and Harvest Cheddar Sun Chips. Just want Sun Chips? This pack is only about $1 more after you clip the $4 coupon.